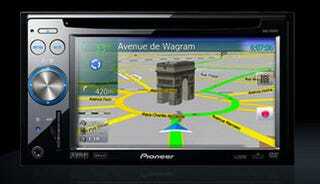 Pioneer has announced a few new additions to its line of car navigation systems. The AVIC-F700BT, AVIC-F900BT and AVIC-F90BT come with features like iPod connectivity, Bluetooth, MSN Direct, HD Radio, XM, Sirius, CD, DVD, USB, SD and more. Although, the real specialness comes from their voice recognition abilities.